I’ve had a love/hate relationship with Once Upon a Time since the second season. I loved the cleverness of the first season and the focus. Ever since they lifted the curse at the end of that the season, the show has been in constant search for direction. I have to admit that I gave up on the show about half way through the fourth season, but I decided to give it another try with the Blu-ray release. While I’m still not in love with the Frozen storyline that dominated the first half of the season, the show does redeem itself with some pretty cool twists in the second half. 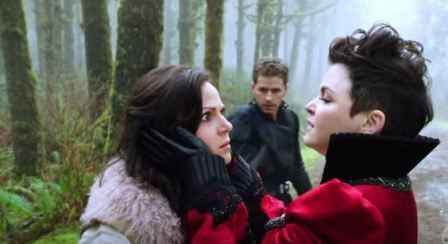 If you also lost heart and gave up on Once Upon a Time you just might find it’s worth checking out again. Incorporating the mega-hit Frozen into the world of Once Upon a Time felt like a desperate attempt to latch on to something popular. Anna and Elsa, and the rest of Avondale had nothing to do with the Enchanted Forest or the original curse. Their inclusion accentuated some of the sillier aspects of the show. Anna’s (Elizabeth Lail) constant perkiness wore thin and I wanted so desperately for Elsa (Georgina Haig) to wear something besides that blue dress. Wasn’t she uncomfortable gallivanting around Storybrooke in formal wear? However, the Frozen aspect did lead to some cool stuff. For one we got to know a lot more about Emma’s (Jennifer Morrison) teenage (portrayed by Abby Ross) years in the foster-care system. 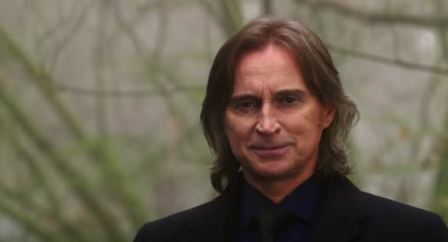 Furthermore, we learn that Rumplestiltskin (Robert Carlyle) has not made quite as many strides towards being a good man as we may have thought, despite his marriage to Belle (Emilie de Ravin). These elements are teased in the first half of the season, but they fully come to a head as the second half of the season unfolds. 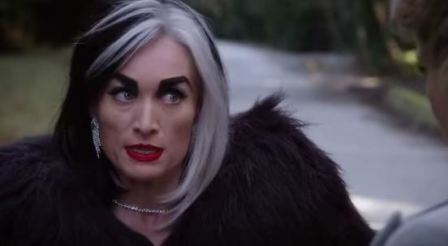 As Elsa and Anna make their exit back to Avondale, new villains come to visit – Cruella De Vil (Victoria Smurfit), Ursula (Merrin Dungey), and our old friend Maleficent (Kristin Bauer van Straten). These characters were teased throughout the season, but they don’t get their full due until the second half of the season. It does make me wish they had done a little less Frozen and more with these guys. I will admit that when they first introduced Cruella onto the show I thought it was ridiculous. She was just a regular person who was mean in the original story, so she certainly didn’t seem to fit in here. But her inclusion started to make sense as we learned more and more about the mysterious author of Henry’s (Jared Gilmore) “Once Upon a Time” storybook. And finally, things started to get really interesting as the season worked its way to the finale. There was so much going on with Regina (Lana Parilla), Henry, and Rumplestiltskin that it seemed a shame they didn’t get more time earlier. 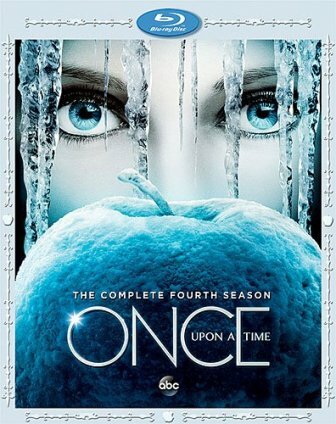 The second half was brought excitement as we learned about Snow (Ginnifer Goodwin) and Charming’s (Josh Dallas) big secret, who Emma’s childhood friend Lily really is, whether Rumplestiltskin is a lost cause, and of course who is orchestrating this whole thing in the first place. The two-part season finale, “Operation Mongoose,” brings the most fun the show has had in a long time with its revelations, alternate realities, and twist ending. I’m seriously hoping for more of that with season five. I have always liked watching this show more on Blu-ray than on network TV. It just works so much better without the commercial breaks and the picture quality is excellent. This Blu-ray set offers plenty of special features to keep fans happy. There’s nearly a half hour of deleted scenes, several behind-the-scenes featurettes, and cast and crew commentaries on five of the episodes, along with a blooper reel. If you’re already a fan of the show, or looking to reconnect with it, this is a great set.